I have to say, this is one story that is not like others. This is a story about a teenage girl name Summer who ends up getting kidnapped and put in a cellar with three other girls. 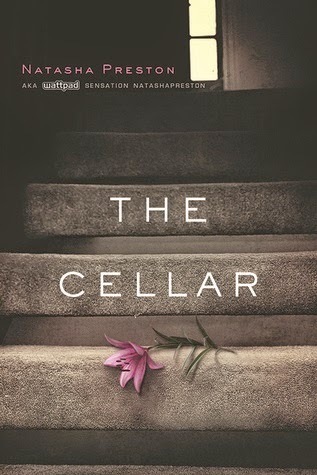 Not only are we reading what she's going through every day she's trapped in the cellar, but we also get to read what the kidnapper, Clover is going through as well as Summer's boyfriend, Lewis. I certainly couldn't stop reading this story once I started reading it. Not only did I love how we got to hear from a three person's point of view, but I was also terrified, disgusted, sad and so many emotions while reading the story, but could not put this book down. It's that interesting and you want to see what happens and if Summer gets out and reunited with the love of her life. It's very vivid to where you can imagine exactly the layout of how the cellar is and how each girl looks. I think Natasha Preston did a great job with this story. The only part I would have changed is a more vivid ending to when Summer, Rose, Poppy and Violet got out of the Cellar. We only get small parts as we're reading again from three people's point of view. Other then that I absolutely was intrigued and loved that this story had a happy ending with Summer reuniting with her family as well as Lewis. Definitely a story that will have you in tears as you're reading both Summer and Lewis' point of view. Disclosure: All opinions are my own. I received The Cellar at no cost for the purpose of this review. No other compensation was received.